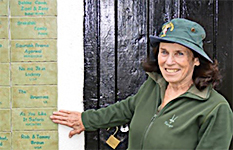 Vivien has been organizing safaris for over 30 years, and is the Founder and Managing Director of As You Like it (Safaris) Ltd. She is available for presentations, primarily in the USA. (Email Vivien or call USA phone number 702-343-3776.) She is also available to travel with groups or where her expertise in logistics and organization are needed. Vivien is passionate about animals. In her free time, Vivien enjoys walking her dog, riding, swimming, cooking, fitness, photography, and travel. 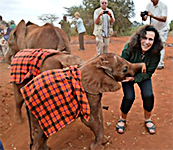 She follows the progress of the Elephants she sponsors at the David Sheldrick Wildlife Trust Orphanage in Nairobi; keeps abreast of the fight by many organizations against animal cruelty, conservation, and the environment. She is also a current member of the Muthaiga Country Club in Nairobi. 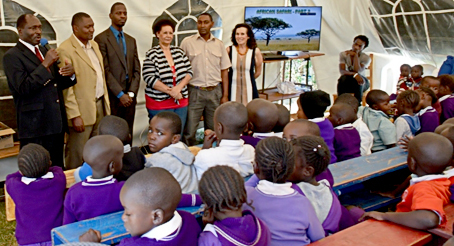 Author Susie Kelly recently interviewed Vivien about her love of Kenya and the safari business. The interview is posted on Susie's blog. Herman is an experienced marketing professional backed by several years in the service industry. He began his career way back in 1974 as an apprentice in the airline industry, initially working for the East African Airways corporation, the forerunner of Kenya Airways from which he joined the national carrier of Zambia-Zambia Airways, and trained extensively in sales& marketing. Bolstered with B.COM-marketing option from University of Zambia( UNZA ) he was charged with the huge responsibility of USA market coordination in Kenya/East Africa and traveled widely in East Africa,Africa,USA and Europe. He joined Primedia Ltd in 2003 as Marketing Director and laterally moved to Super brands in 2006 in the same capacity. A trained airline business specialist,he was General Manager of Africa Travel&Tours Centre for a considerable period during which time he was immensely acquainted with tour operations in East Africa as well the various practical aspects of tourism marketing. He joins the AYLIS team as CEO at a time of intensive restructuring to achieve maximum efficiency in service delivery as focus shifts to the customer as the employer in our business. 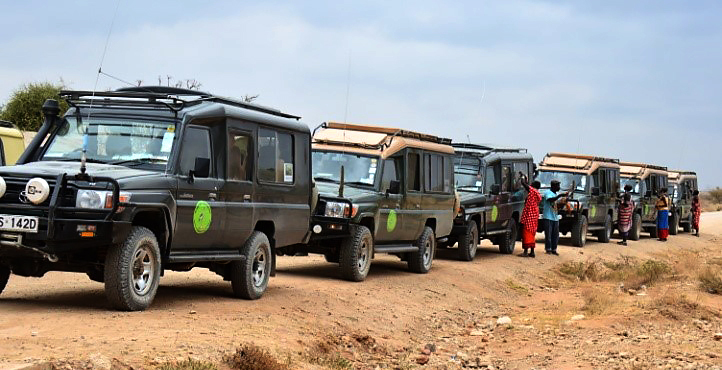 Ernest is our Director laden with the ultimate responsibility of safely and expertly driving our Clients on what will be the adventure of their life-time. 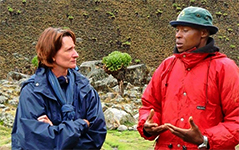 Kamara has worked with Vivien for over twenty years, and was trained over a period of 14 years by one of the ultimate conservationists, Brian Nicholson. 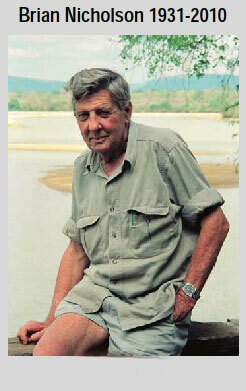 Nicholson was the Chief Game Warden in Tanzania for 24 years, and was responsible for enlarging the Selous to what it is today. Kamara’s experience is unique, and he knows his way round the parks extremely well. He is an excellent mechanic, treasures and cares for his land cruiser, doing all his own servicing, and this is an extra safety factor driving in the bush. His patience and understanding with photographers is exceptional. He is a very experienced dog and animal handler, and is very kind and caring towards all animals. 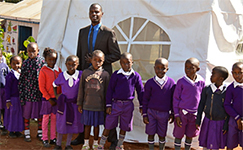 Kamara, is married and educating his four children. He is a solid, safe, loyal, responsible and very humble man. Dedan is an excellent driver/guide with many fans, particularly photographers. Nicknamed ‘the Professor’ by some of his former passengers, Dedan’s knowledge of the birds and animals, and their behavior is unparalleled, as is his tracking instinct. 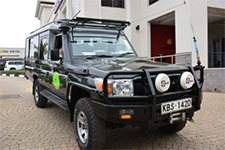 He is a skilled driver, with his own well equipped and maintained vehicle. He will put you as close to the animals as is safely possible, and at the right angle to capture the best photo. Dedan has a family, and farms when not on safari. 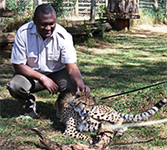 Philemon Ochieng was born and raised in Kenya, went through the Kenyan Education system, and attended Kenya Wildlife Service Training Institute. After completing his Diploma, he was attached to As You like it Safaris in 2006. He then attended Moi University for his Bachelor studies in Tourism Management and was still working in the company during holidays. After completing his studies, he worked in the Kenya National Museums, Kisite Mpunguti Marine Reserve and Jomo Kenyatta International Airport. He is still sometimes available to lead groups, as Administrator, and to share his 7 years expertise in the tourism and wildlife sector. Symon is an outstanding, exceptionally experienced mountain guide. He has knowledge, common sense, and over a hundred climbs behind him. 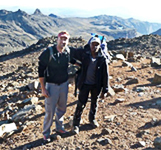 You can feel confident as he leads you to climb Mt Kenya with the full support of the As You Like It Safaris team. Symon is a conservationist and is planning to install Biogas for cooking in his home (very important for Kenya). He has four beautiful children to educate and a hard-working wife. He also has very good mountain climbing equipment for hire. In June, this year Symon accomplished one of his greatest achievements by cycling from Lake Victoria to the Indian Ocean in 12 days (1030kms), guiding two teenage English boys safely on an adventure of a lifetime. He can organize similar bike trips up Mt. Kenya for those who would wish to combine both hiking and cycling. As You Like it offers this unique service. Symon works with a self help group of young dedicated men and women who take responsibility for their actions in maintaining and improving the environment. 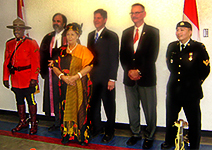 They build environmental and cultural awareness and respect. They employ environmental considerations into all their climbing trips. They minimize water and atmospheric pollution and misuse during their trips. They also minimize litter and disposing of litter in the best way possible. All their clients assist in keeping their climbing environment tidy and clean. 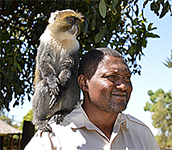 He supports and practices responsible tourism by minimizing impact to the natural environment. 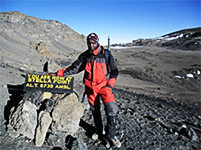 He is believed to be one of the few veteran (legend) mountain guides in Kenya. The climbing team sees James Mwangi joining the As You Like It Team. 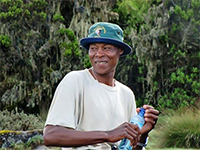 With fourteen years experience he will safely guide you on Mt Kilimanjaro, Mt Kenya, Mt Longonot, and is great on his adventures with the strong support of the rest of the team. 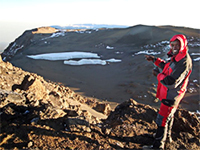 See a sample of a Mt Longonot adventure here. 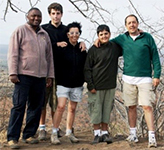 Vivien's and Kamara's teacher, the late Brian Nicholson, was senior Game Warden in Tanzania for 24 years, and was largely responsible for expanding the Selous Game Reserve from 10,000 sq. miles to 20,000 sq. miles. He is the man who mapped the reserve which is the largest uninhabited park in the world. 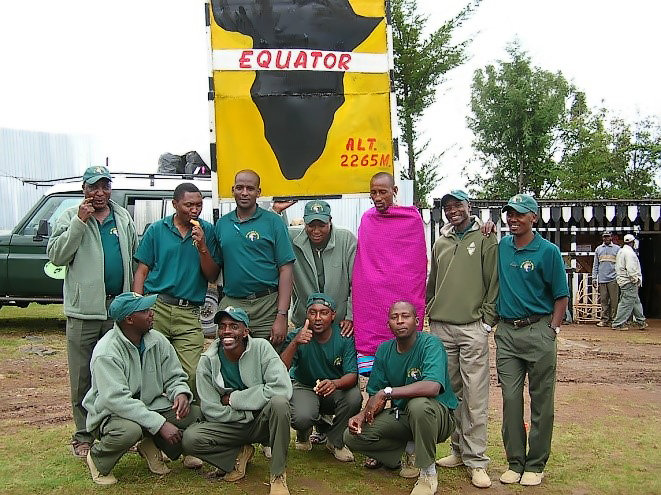 He was a wealth of information from years of active elephant control operations and dealing with man-eating lions in the adjoining inhabited country; walking thousands of miles on foot with porters. He was an outstanding bushman and guide. He passed away in 2010 while living with his children in Australia. Click here for an article about him in the African Indaba eNewsletter. His photo is on page 3 and the article on page 18. Click for information on Brian Nicholson's book, "The Last of Old Africa." Grace, Kenyan born & living in Vancouver BC, is the As You Like It Safaris Ltd agent for Canada. 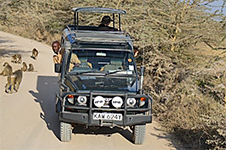 Her vibrant & boisterous enthusiasm will quickly convince you to travel to Kenya & safari with us. She is passionate about exposing Kenya to tourists throughout the world. In her own time she likes to sew, embroider, sing, dance and cook. Professor Newton is the Succulent Plant Specialist and leader of As You Like It Safaris Botanical Safaris. your expectations, just as you like it. Your sightings with us will be the proof. Contact us now!